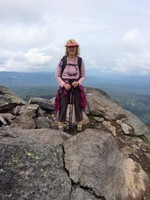 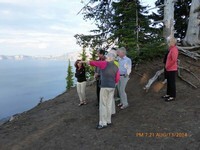 Well, if experience is what you get when you don't get what you expect, then we got plenty of experience on the AHG 2014 overnight at Crater Lake. 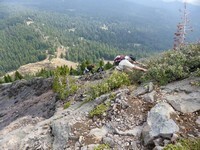 The original plan was to do Mt. 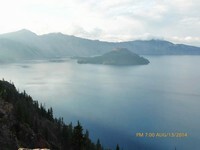 Scott on Wednesday and then Wizard Island on Thursday. 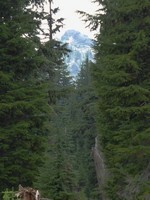 Turns out that the road to Mt. 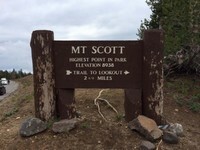 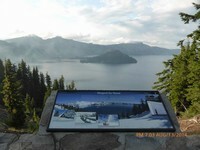 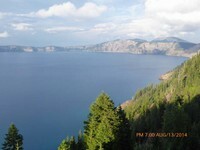 Scott, East Rim Drive, was closed during the day for rock fall operations and one of Xanterra's 3 Crater Lake boats was out of commission on Thursday, thereby canceling the Wizard Island hike. 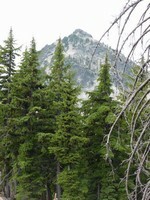 So, we made lemonade. 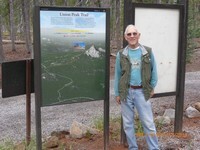 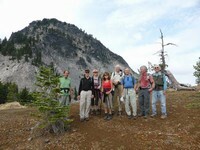 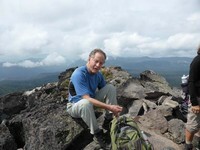 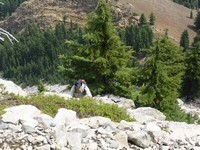 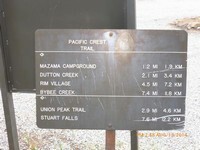 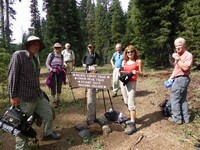 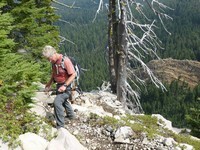 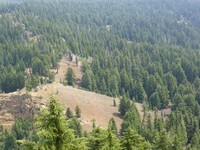 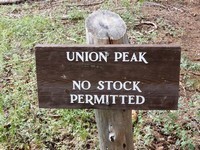 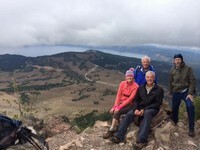 On Wednesday the group climbed Union Peak. 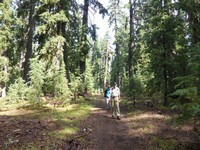 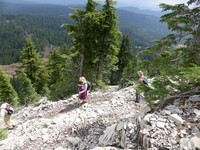 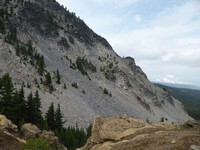 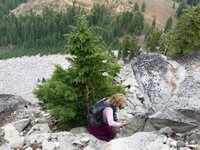 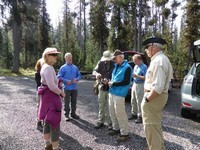 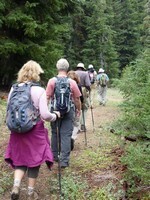 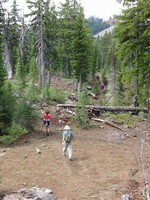 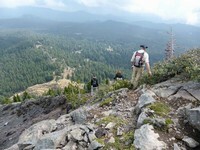 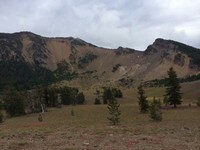 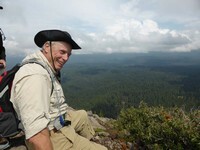 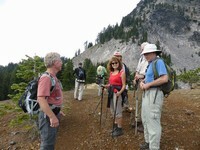 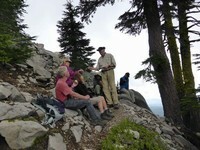 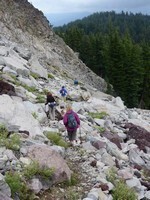 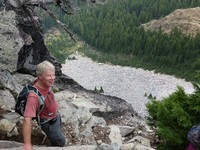 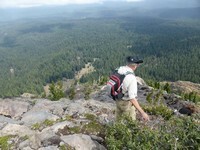 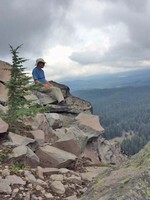 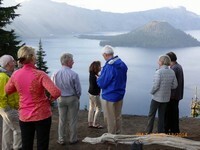 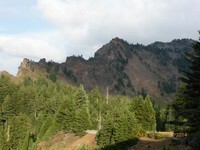 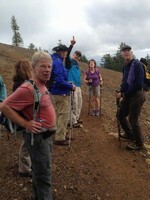 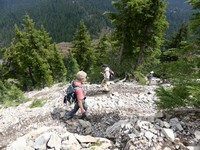 On Thursday, we split into two groups with one group doing Garfield Peak and the other doing Mt. 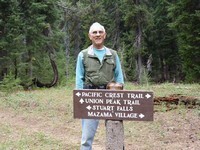 Scott, reaching the trailhead by driving around the lake clockwise. 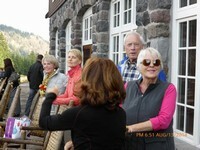 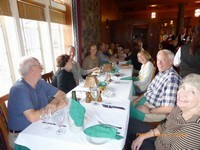 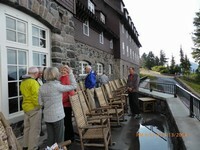 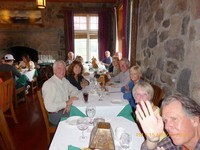 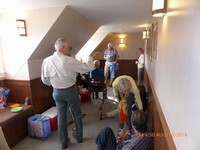 Wednesday after the hike we enjoyed refreshments in a wide spot in the third floor hall of the Crater Lake Lodge. 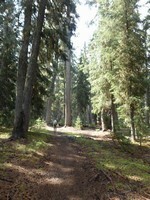 This was followed by an early dinner in the dining room and then a walk along the rim. 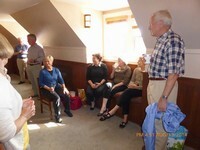 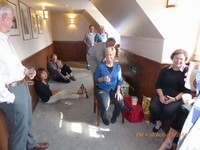 Then it was back to the wide spot again for after dinner drinks and desserts.